Based in New York City, Larry Fuller is one of the premier mainstream jazz pianists living today. He is known by critics to "swing like a beast!” and "summarize the history of jazz". Fuller began his professional musical career at the extraordinary age 13 in his hometown of Toledo, Ohio and the Midwest region. In his early 20’s, Fuller’s undeniable talent earned him the position of musical director and pianist for GRAMMY-nominated vocalist Ernestine Anderson. 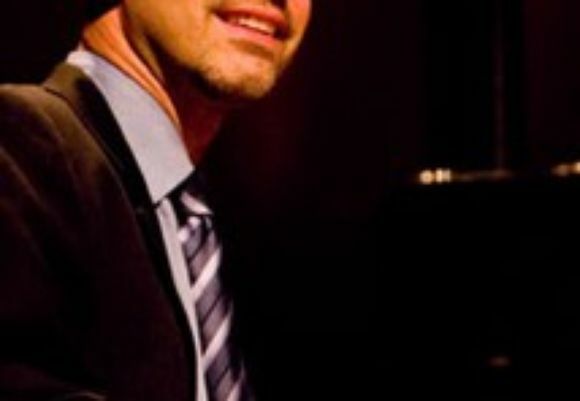 He then joined renowned drummer Jeff Hamilton’s Trio before gaining the honor of manning the keys as the legendary Ray Brown Trio’s final pianist. Of Fuller, Ray Brown said: “He brings vitality! He swings hard and I like that”. Fuller also performed for several years with guitar-vocal great John Pizzarelli. Since 2013 - harnessing his unique bandstand collaborations with the giants - Larry Fuller has led his own Trio, performing prestigious venues and festivals in the US and internationally. His experience has propelled Fuller to present a musical program rarely experienced live today. He receives consistent praise for his emotive, swinging style, monster technique and versatility. The Vancouver Sun called Larry Fuller Trio’s appearance at the TD Vancouver International Jazz Festival 2016 one of the two-week festival’s “top 10 highlights that took our breath away and made us gaze in wonder”. Larry Fuller has performed at some of the most prestigious venues in the world including Carnegie Hall with the New York Pops, Symphony Hall with the Boston Pops, Hollywood Bowl, the Kennedy Center, Bern International Jazz Festival, TD Vancouver International Jazz Festival, Shanghai Center Theater, the Musical Instrument Museum (MIM) Music Theater, Dimitriou’s Jazz Alley Seattle, Concertgebouw Amsterdam, Blue Note (Milan, Tokyo, NYC), A-Train (Berlin), Widderbar (Zurich), Tbilisi Event Hall, Porgy & Bess (Vienna), Duc des Lombards (Paris), and so many more.